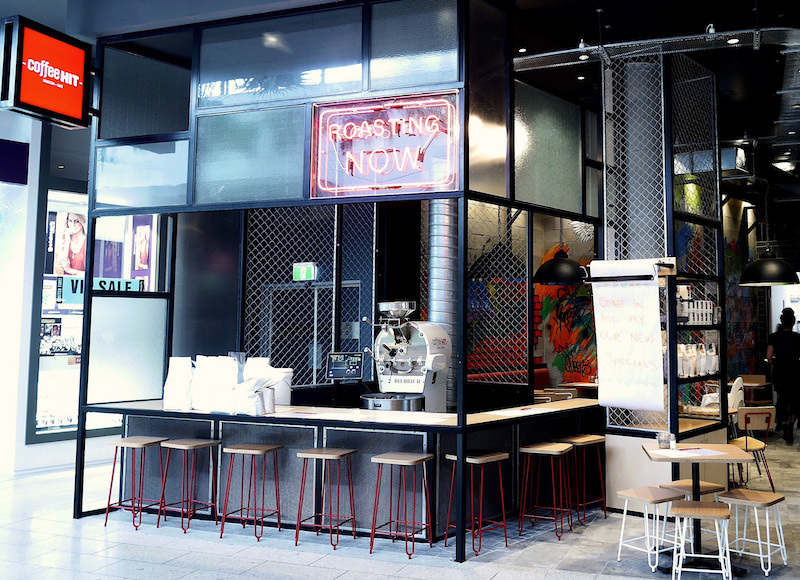 Coffee Hit North Lakes is located at Westfield North Lakes, in Brisbane. Open from 9.00am, we are conveniently located on the ground floor, close to JB Hi-Fi. We are the only roastery cafe in the centre and source our speciality coffee directly from the farms at origin. We offer a range of specialty coffee blends and single origin coffees, all available in take home bags. Our speciality coffee is paired with a seasonal menu that showcases the best local and regionally sourced produce. We offer an all day breakfast menu and lunch offerings include a range of sandwiches, salads, 100% grass fed burgers and steak sandwiches. Vegan, vegetarian, gluten free, kid friendly options are also available. Westfield North Lakes offers three hours free parking with the 4th hour free, when you spend over $200 in the centre. Public transport is available by train and bus. From the Mango Hill train station, take bus 687 to the bus interchange.